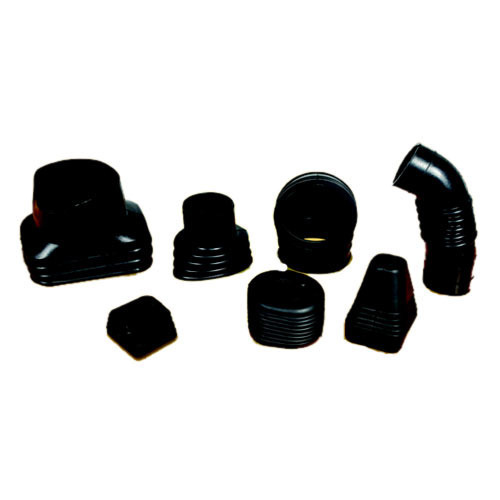 We are the leading organization in the industry to provide our clients the best quality range of Plain Moulded Rubber Part. The provided part is precisely designed and manufactured by our highly experienced professionals using the best grade rubber material and modern technology. Offered part is available in different shapes as per the demands of our precious clients. Furthermore, our prestigious clients can avail this part at most affordable price. Established in the year 2012, we “Polymers Rubber Industries Elite Services & Technology,” are reputed Manufacturer, Trader and Supplier of impeccable range ofSilicone Rubber Parts, Synthetic Rubber Parts, Food Grade Rubber Parts, Rubber Bonded Parts, Customized Rubber Parts, Plain Moulded Rubber Parts, Metal To Rubber Bonded Parts and Extruded Rubber Parts. We are known for our consistent quality standards, so we precisely design and manufacture the offered assortment of products using optimum quality rubber with the aid of innovative technology in adherence to global quality standards. The product range is highly appreciated for rigid design, abrasion resistance, easy to install and durability. We provide products in various specifications at industry leading prices. Under the headship of our Proprietor “Mr. Deepak Parkhi,” we have gained tremendous success across the nation.